July 8 marked the somber first anniversary of the start of the 2014 summer war in Gaza, when Israel and Palestinian militants battled one another for fifty days. The war resulted in 2,251 Palestinian deaths -- including 1,462 civilians and 551 children. More than 70 Israelis were killed, according to the United Nations. The organization also reported that 18,000 houses in Gaza were destroyed or severely damaged in the conflict and 30 percent of education facilities were damaged. 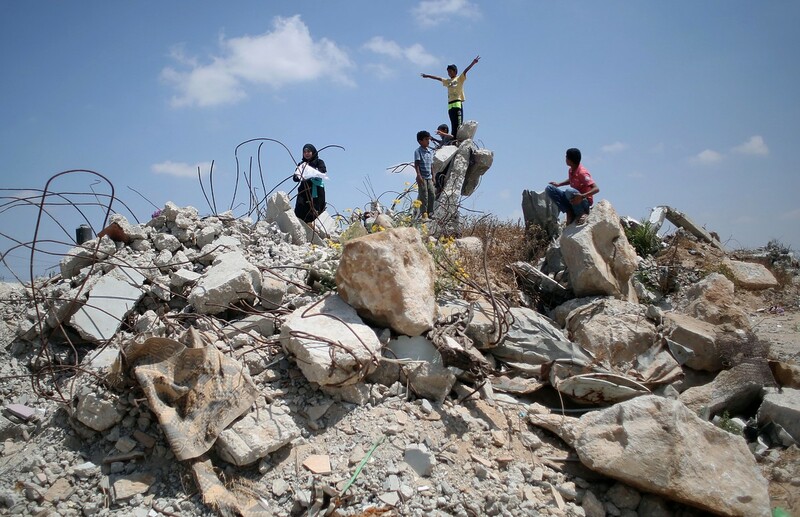 One year later, much of the Gaza Strip remains in ruins. Around 120,000 people are still homeless, according to to the UN. Authorities have yet to start rebuilding hospitals, schools and even water networks, the international children's charity Save The Children reports. The UN has warned that the reconstruction process has been so slow that it could take 30 years to repair the damages done. Photographers have captured images of life after the war, as civilians continue to adjust to the new reality.